Starting her entry into oral history with feminist historiography, Dr. Meghna’s keynote address was a detailed panorama into Bangladesh’s histories, the continued narrative of nation building and the contested space of ‘memory’. A strong breeze, excited participants and engaging Master Classes encapsulated the morning half of the first day of the 19th International Oral History Conference co-hosted by the International Oral History Association (IOHA) and Oral History Association of India (OHAI) at the Srishti Institute of Art, Design and Technology. The evening session witnessed the inaugural ceremony at the Chowdaiah Memorial Hall, where Dr. Indira Chowdhury, Meena Menon, Dr Mark Cave, David Beorlegui Zarranz and Dharma Kannan, together lit the ceremonial lamp as an auspicious beginning to the commencement of the Conference. Dr Meghna Guhathakurta’s illuminating keynote address on “The persistence of memories and the radicalisation of action: oral history in transformation in Bangladesh” drew focus on negotiating changes in identity and nation building brought by social transformations through oral histories; and how this change reflects in collective and individual memories. The first day’s programme closed with a spectacular and riveting shadow puppet performance titled “Stories in the Shadows: A Tolu Bommalata Performance” by the Shinde Anjaneyulu family, curated by the Antara Arts Collective. In the words of narrator Aparna Banerjee, it was a “tale well told”. Dr. Chowdhury’s welcome address reflected on the theme of this Conference, i.e. Speaking, Listening, Interpreting. From her location in India, she put emphasis on the “different forms of orality” and “the polyphony of stories”. She further positioned the discipline of oral history as “a unique form of inquiry” and a field that provides “access to other forms of learning”. Dr. Chowdhury highlighted the ‘discomfort’ the discipline of oral history causes and concluded her address with the expectation that this edition of the Conference would discuss and debate what oral historians do and the kind(s) of knowledge this field creates or co-creates. Starting her entry into oral history with feminist historiography, Dr. Meghna’s keynote address was a detailed panorama into Bangladesh’s histories, the continued narrative of nation building and the contested space of ‘memory’. According to Dr. Meghna, “Some memories gain visibility while others are swept under the carpet”. Linguistic identities leading to social transformation was also mentioned in her address. In this regard, she showcased clips from two films on the Bangla/mother tongue nexus in contemporary Bangladesh. 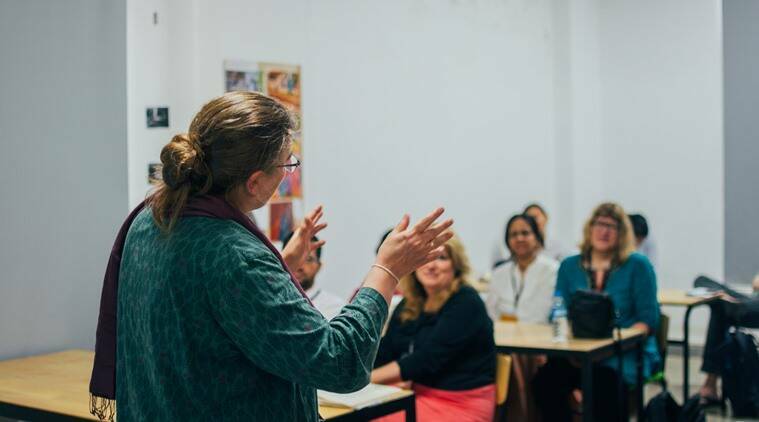 The practice(s) of oral history were encapsulated earlier in the four Master Classes that took place at the Srishti Institute of Art, Design and Technology. Sean Field described the experience of conducting his Master Class on “Through Inter-subjectivity: their feelings, our feelings and oral history” as “engaging”. He had to ‘field’ a lot of questions from the participants! Albert Lichtblau’s Master class on “Audio-Visual History” engaged with the diverse mediums of conducting interviews. The decision making process during filming/ recording interviews was the focus of his class. Pilar Dominguez Prats Master Class “Life History: between individual and collective memory”, in Spanish, discussed ideas of ‘subjectivity’ in oral history. Pilar gave valuable inputs on how to guide a life history interview while allowing he narrator to tell their story. Urvashi Butalia’s intimate Master Class “Talking about Partition: Reflections on the use of oral history” was a re-telling of her entry into oral history and the events that shaped her field of inquiry. Her personal stories about her experience and engagement with the event of Partition engaged with the ideas of ‘telling’ and ‘concealing’. To witness the dancing leather puppets of Ganesha, Saraswati, Ram, Lakshman and Hanuman was a surreal experience for the audience at Chowdaiah. Performing a section of the “Sundar Kanda” from The Ramayana, the master puppeteers brought to life the meeting between a captive Sita and Hanuman who flew to Lanka with Rama’s ring. The enthralling performance was further accentuated when members of the Shinde Anjaneyulu Anajelu family demonstrated how they make the puppets dance, fight and perform flips in the air. The scenes of battle reminded many in the audience of an episode of Game of Thrones. Indeed a grand end to a wonderful first day of IOHA 2016. As the participants in the audience bought and made their way home with masterfully crafted leather puppets in their hands, we reflect that stories, be it in any form and medium, will always be told!